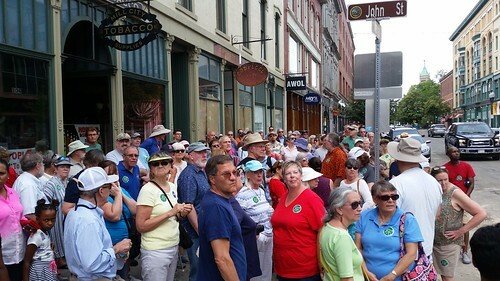 Yesterday’s Lowell Walk on Merrimack St.
120 people joined yesterday’s Lowell Walk which was on downtown architecture and was led by Steve Stowell, the administrator of the Lowell Historic Board. The tour visited Shattuck, Merrimack, Kirk, John and Palmer Streets and saw architectural styles that spanned more than a century of Lowell’s early existence. Because time did not permit us to visit so many other interesting buildings in downtown Lowell, Steve agreed to do Part II of this walk next summer. Next week’s Lowell Walk is “Moody Street: Then and Now” which will be led by me and members of the Coalition for a Better Acre. Moody Street was once a major thoroughfare which connected downtown to the Pawtucketville neighborhood across the Textile Avenue Bridge. It also ran through the middle of the Little Canada Neighborhood. The street was closed off in the late 1960s with the construction of the JFK Civic Center, however, it has seen a rebirth in recent decades due primarily to the efforts of the Coalition for a Better Acre. This walk begins on Saturday, July 21, 2018 at 10 am at Lowell National Historical Park Visitor Center, 246 Market Street in Lowell. Grassy triangle at Central and Prescott streets. Site of Spaulding Building in 1972. Right now there are ten Democratic candidates vying for the party nomination for the Third Congressional District seat that is currently held by Niki Tsongas. Back in 1972, there were also ten Democrats vying for the nomination, although then it was the Fifth District not the Third. Quite a few prominent Lowell citizens were in that race who went on to have successful political careers in the City Council and the state house, including Paul Sheehy, Bob Kennedy, and John Desmond. But this story involved a man who was less familiar in Lowell at the time. His name was John Kerry, and at the time he was an anti-war activist recently returned from Vietnam. He and his wife Julia first bought a house in Worcester with the intention of Kerry running against that district’s incumbent member of Congress, Harold Donohue. However, before Kerry could move to Worcester, the incumbent Congressman in the Fifth District (today’s Third), F. Bradford Morse, resigned his seat when he was appointed by President Richard Nixon to a high-ranking position in the United Nations. Instead of moving to Worcester, Kerry moved to Lowell and launched his Congressional campaign. He opened a headquarters in a storefront of the Spaulding Building which no longer exists, but which stood on the triangle formed by Central and Prescott Streets. That building was a popular spot for campaign headquarters, because another Congressional candidate, State Representative Anthony DiFruscia of Lawrence, had his quarters in the same building, just a few storefronts down from Kerry’s. The action of story begins at 2:00 AM on September 18, 1972, just 30 hours before the polls opened for the primary, when John Kerry’s brother Cameron Kerry and Tom Vallely, a campaign worker, were arrested in a passageway that led to the basement of Mr. DiFruscia’s campaign headquarters. Both were charged with breaking and entering and attempting to commit larceny – even though there was no sign of forced entry and no evidence that DiFruscia’s headquarters had been bugged or otherwise disturbed. According to candidate John Kerry, his campaign had just 30 minutes earlier that night received an anonymous phone call reporting that his campaign phones were about to be sabotaged (just as they were most needed for their get out the vote effort). Cameron Kerry and Vallely simply had entered the building to investigate. (Kerry and his campaign have always maintained that the arrest was a setup). Kerry was not a favorite of the Lowell Sun which led that day’s edition with “Kerry Brother Arrested in Lowell Watergate” for a headline. Despite this scandal, Kerry won the primary with 28 percent of the vote, defeating second-place finisher Paul Sheehy by about 5000 votes. Polling right after the primary gave Kerry a 28 point lead over Republican Paul Cronin, but Cronin steadily chipped away at Kerry’s lead, aided by a steady-stream of anti-Kerry stories and editorials from the Lowell newspaper. In the end, it was not even close – Cronin won Lowell, Lawrence, and 19 of the 22 towns in the district. He beat Kerry by 18,123 votes, or almost 9% of the 207,623 ballots cast. Kerry actually stuck around in Lowell for a bit after that, buying a house in Belvidere before moving on with his political career elsewhere. A year after the election, the charges against Cameron Kerry and Tom Vallely were dropped. A Lowell quarter will soon join the Massachusetts quarter which was first minted in 2000. Back in 1996, Congressman Mike Castle (R-Delaware) introduced legislation that created the “50 State Quarter Project” which had the U.S. Mint issue a new quarter for each state and territory. 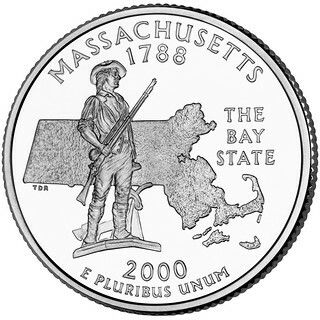 (The Massachusetts quarter, issued in 2000 and shown above, features the Concord Minuteman). When the last of the state quarters was issued in 2008, Congressman Castle introduced a related bill initially called “The National Park Quarters Act” which was later changed to the “America the Beautiful Quarter” series. The Act called for each state to recommend to the U.S. Mint one National Park Service site within the state to be placed on a quarter for that state. Then-Massachusetts Governor Deval Patrick established a website and allowed residents of the Commonwealth to vote on which site should represent Massachusetts. The Gloucester Fisherman’s Memorial won that vote, but was ineligible because it was a city park, not a National Park Service site. Because of this disqualification, the second-place finisher was chosen to represent Massachusetts. That was Lowell National Historical Park. As for the design of the quarter, that is up to the Secretary of the Treasury with input from several advisory councils and current Governor Charlie Baker. The design itself has been created by artists at the United States Mint, however, staff from the Tsongas Industrial History Center and Lowell National Historical Park have shared with those artists some key images and aspects of Lowell’s history. With each state, the District of Columbia and US Territories each having a National Park quarter, there are 56 in all. More than 40 have already been released. The Lowell quarter will be number 46. The final design choices will be made public later this summer and the quarter itself will be released at a big launch party in Lowell in February 2019. This coming Wednesday, July 18, 2018, at 6:30 pm at Lowell Telecommunications Corp (LTC), 246 Market Street, the City Council ad hoc elections subcommittee will hold another public listening session. This is an opportunity for members of the public to let councilors know if they feel represented at City Hall; if they are satisfied with the current at-large voting system or whether they’d prefer some type of district representation or some mixture of both; and anything else they’d like to share with councilors on the subcommittee (which is chaired by Vesna Nuon with Ed Kennedy and John Leahy as members). 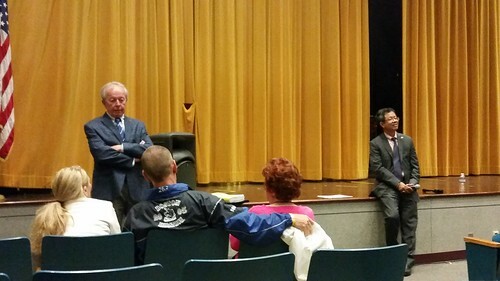 The final two listening sessions by the subcommittee are scheduled for July 25, 2018 at the Butler School and on August 1, 2018 at the Robinson School. 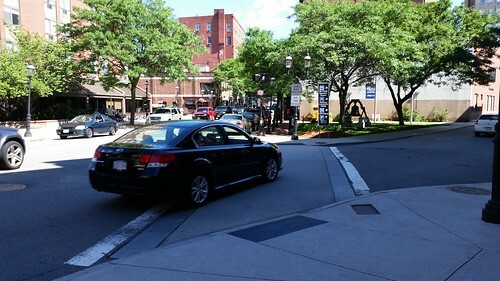 On Thursday, the Sun reported via the State House News service that the legislature is moving closer to enacting a ban on using a cell phone while driving a car. Using a phone in a “hands-free” mode would still be OK. I think this would be an excellent law despite challenges to enforcement. Encountering distracted drivers who are looking at their phones while hurtling down the road happens all the time and inevitably will lead to serious and deadly accidents. Hopefully the legislature will pass an effective law on this and the governor will sign it. 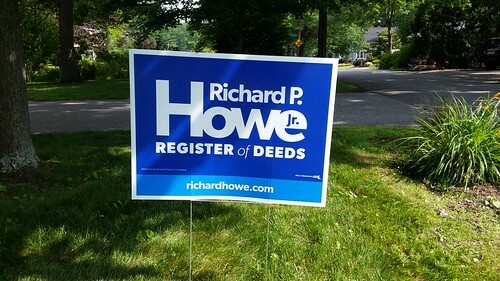 Thanks to everyone who has already requested one of my lawn signs or has offered to help with my reelection campaign. If you would like a lawn sign or if you can help in other ways, please use this handy form to let me know. Finally, campaigns are expensive, so donations of any amount – $10 or $25 – would be a big help. Please check out our online donation page (which also includes instructions for donating the traditional way). But most important of all is your vote – which I respectfully ask for. Gary DeStramp’s painting Renaissance should be the model for our quarter. It depicts the Lawrence Mills from the Aiken Streets side, looming gigantic on the left side of the frame and shrinking into the distance. It’s awesome.